Looking for something to do this weekend? Well, I have THREE options for you (listed alphabetical by location)! Parking is limited and there are street closures. 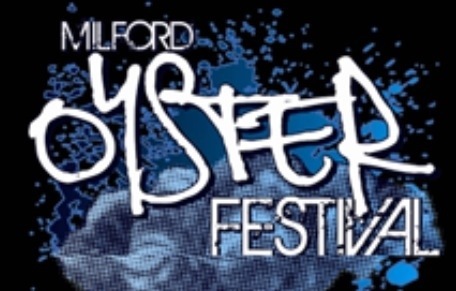 Be sure to check out the Milford Oyster Festival website for more information. There’s a PRE-festival event on Friday, August 16th, 6-9:30pm at Lisman Landing and the Downtown Shops. Arts and Crafts: Over 200 artists and artisans will participate in the Arts & Craft Show on the Milford Green. Big Toys: In Armory Square (the parking lot behind Colony Grill and Archie Moore’s you’ll find BMX stunt bike riders, extreme bungee ($5 for 5 minutes), rock wall climbing, obstacle courses, outdoor bowling, Zumba, martial arts, CT Tennis, CT Roller Girls, Mobile 1 Race Car & Drive Simulator, and the Bridgeport Sound Tigers Slap Shot Machine. For more info and the Big Toys Schedule click here. Children’s Stage: From 11-4pm the Children’s stage will feature everything from Karate demonstrations to family concerts to a magic show. Click here for the schedule. Harbor Activities: 8am Canoe and Kayak Race, 90 minute Schooner cruises (require you to purchase a ticket), AND Oyster Stage for the Oyster Eating Competition and Oyster Shucking Contest! Click here. Lisman Landing Car & Motorcycle Show and live music on the Harbor Stage. Schedule can be found here. Main Stage Entertainment will include musical artists: Beth Patella (11:30), Mullett (12:30), and Frank Viele, a Milford native at 2:15. 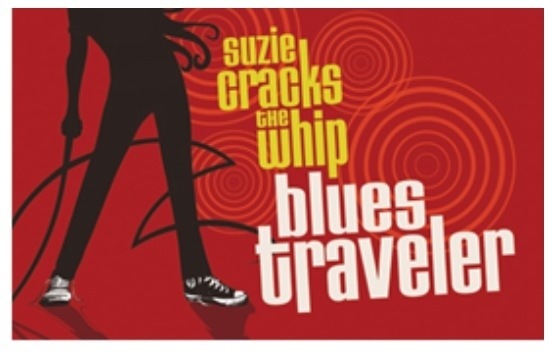 The headliner this year is Blues Traveler performing at 3:45! For further info on Main Stage Entertainment click here. Also known as the Food Court, the food options at the Milford Oyster Festival range from Oysters to Burgers and just about every festival food in between! 20,000. That’s right TWENTY thousand oysters and clams will be available at Fowler Field (behind the library) and Lisman Landing Harbor Stage from some of the most prominent East Coast oyster growers of the East Coast Shellfish Growers Association. Don’t forget the Oyster Shucking Contest! Heat One is at 12:14, followed by Heat Two at 1:15. Winners announced at 2:15pm. The Oyster Eating Invitational will take place at 2pm. Other food options, you ask? Um, there’s so many options, I’m going to need a game plan. Check it out! Milford Republicans: Joe’s Missing Link Sausage and Peppers, hamburgers and cheeseburgers, hot dogs, fries, water & soda. See you all Saturday at the Oyster Festival! I’m so excited about PopShop Market this Sunday because it sounds fantastic, and I missed the first one! This “European-style open-air pop-up market,” as the PopShop Market website describes it, will feature art, fashion, jewelry, and furniture by local Connecticut artists and merchants. For all my fellow foodies, PopShop also feature food and drink by some of Connecticut’s best! The food and drink lineup includes: Mango Tree, Toasted, Skinny Pines Pizza, Insomnia Cookies, Garden Fresh Baby (baby foods), Craft Butchery, Raus Coffee, Lobster Craft, Fryborg. PopShop Market website also says there will be a BarCar and a CT brewer. I don’t know about you, but I know I’ll be popping over to the market on Sunday! WHEN: Saturday, August 17th, 4-8pm The first Shakesbeer Festival is here! The goal? To raise money to restore the historical American Shakespeare Theatre which has been closed for about 30 years, and teach you about Connecticut craft beer. Are you ready beer lovers? Shakesbeer will feature ALL the beer! All of Connecticut’s craft breweries and their beer, that is. Don’t forget the food trucks and live music! Most of the music will have a Renaissance theme, however Javier Colon, a Stratford native, and winner of “The Voice” in 2011 will be performing! Cowabunga and Vazzy’s will on hand serving up their culinary specialties. TIP: Tickets are $50.00 and you can purchase them at: Wines Unlimited (2236 Broadbridge Ave, Stratford), Captain’s Keg (200 East Main Street, Stratford), or on this website. For more information you can visit BeerAdvocate.com or the festival’s website. Photo credits: Milford Oyster Festival logo photo and Blues Traveler album photo are from milfordoysterfestival.com. PopShop logo photos are from popshopmarket.com. Shakesbeer festival logo photo is from tickets.beerfest.com.